Recreating the iconic original in a compact and robust package the Roland SH-01A Synthesizer Sound Module is here for a whole new generation to enjoy. 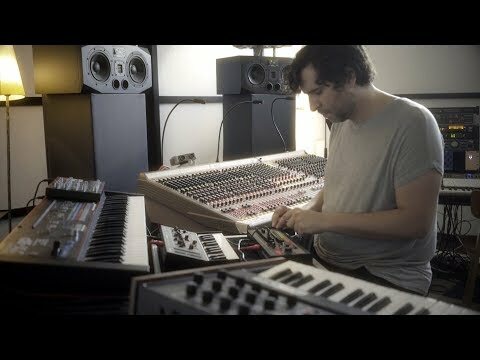 Roland's Analog Circuit Behaviour (ACB) technology reproduces the SH-101’s legendary sounds by meticulously recreating the actual behaviour of the original analog circuits, making this indistinguishable from the original SH-101. The original SH-101's are now becoming rare which means many have turned to samples that don't quite hit the mark. With the SH-01A you can be guaranteed of 100% authentic SH-101 sound thanks to the original developers working with the current Roland team. One of the most popular features of the original SH-101 was its easy to use 100-note step sequencer. Designed to inspire through simplicity, the SH-101 sequencer has been the drive of countless bass and lead synth lines on countless dance tracks. But analog technology came with its limitations, so with the SH-01A you can save and access 64 sequence patterns, perfect for any performance situation. Recall any pattern when required, and use the iconic sequencer to control your modular rig, hardware synthesizers, and software plugins via CV/Gate, MIDI, and USB. Upping the game again from the original 101, the SH-01A now has four huge voices. On top of the classic Mono mode, you can stack the four voices in Unison mode to add some punch to your bass and lead lines. Chord mode layers any four notes, and can be shifted up and down in semi-tone intervals. Poly mode allows for four notes to be played simultaneously, making the iconic monosynth now capable of pads and chords. The Roland SH-01A has the capability to be powered via USB or batteries and has a built in speaker so that you can create music just about anywhere. Add an icon to your rig and see what the SH-01A is capable of.